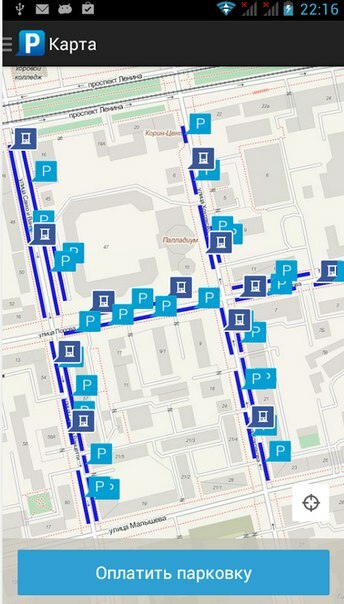 Manage your parking account (view the current state, top up), etc. Youare able to download the application from AppStore, Google Play andMarketPlace. 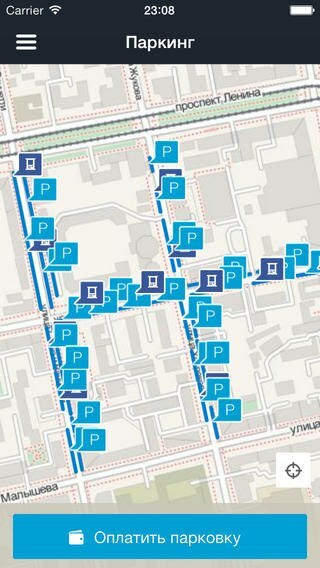 Mobileapplication “Parking of Yekaterinburg” for iOS is available at AppStore forfree. To install the application, iOS 6.1 or later version are required. Theapplication is compatible with iPhone, iPad and iPod touch. This application isoptimized for iPhone 5, 6. Mobileapplication for Android is available at Googleplay. To install the application,Android 2.2 or latest version are required. Exact location (based on network and GPS). testing the access to secure storage. 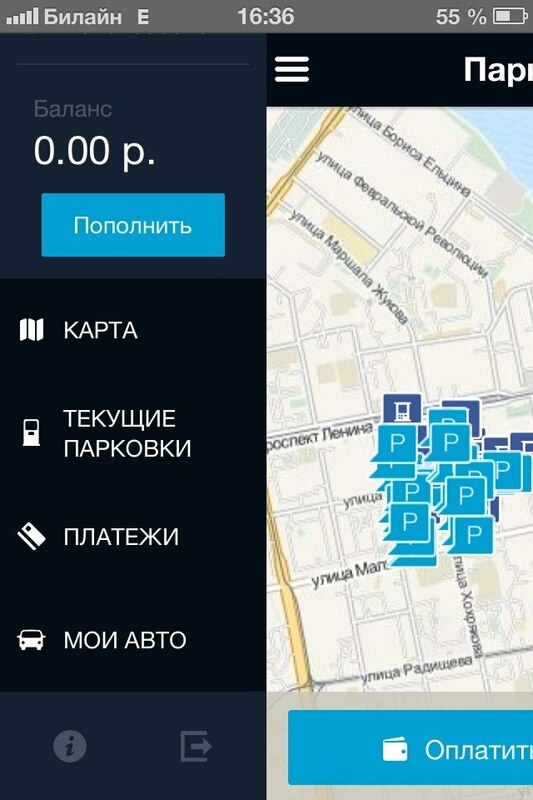 Aftereach updating of the mobile application (currently available the latest version1.08), set of the permissions of "Parking Yekaterinburg" may beextended. 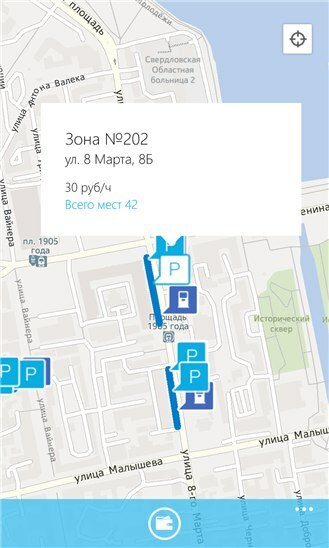 Mobileapplication «Parking of Yekaterinburg» for Windows Phone can be download fromMarketPlace for free. To install the application, Windows Phone 8, 8.1 orlatest version are required. 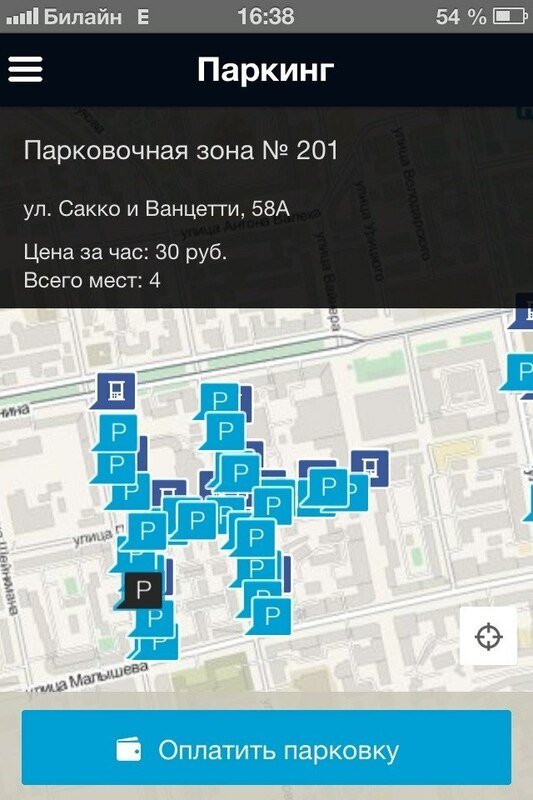 Letus consider the example of work with mobile application «Parking ofYekaterinburg» for iOS version 1.2.3. 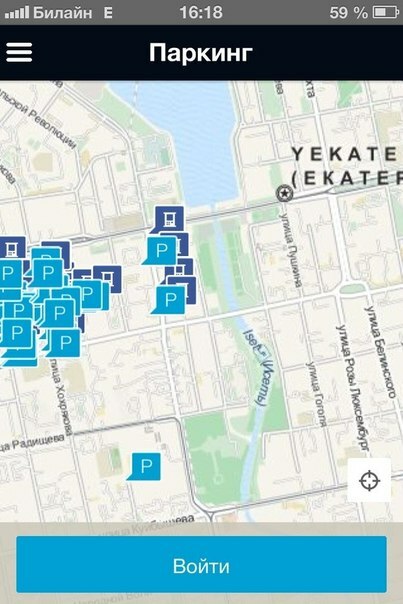 Thestart page contains a city map with parking (signs ) and parking meters (signs ). 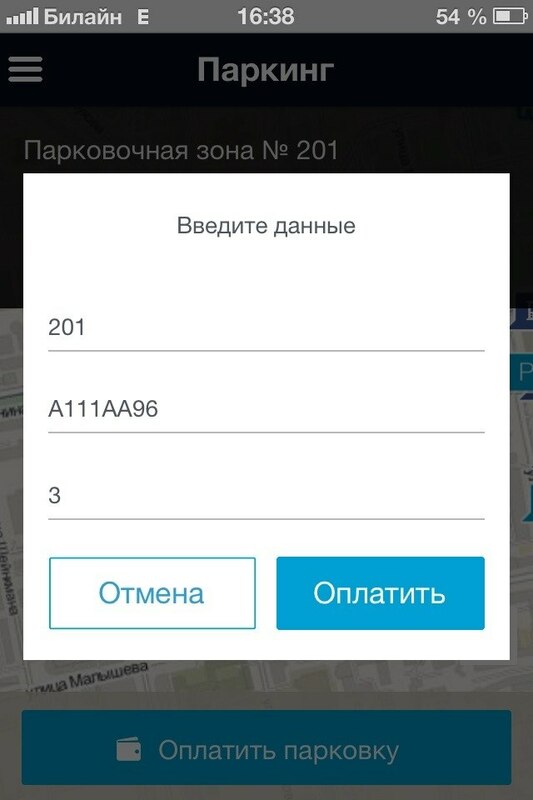 In orderto use all functions of the application, you have to register or log in (https://ek-parking.ru/). Inorder to get to authorization menu, press the button “Log in” on the start page(picture 4). 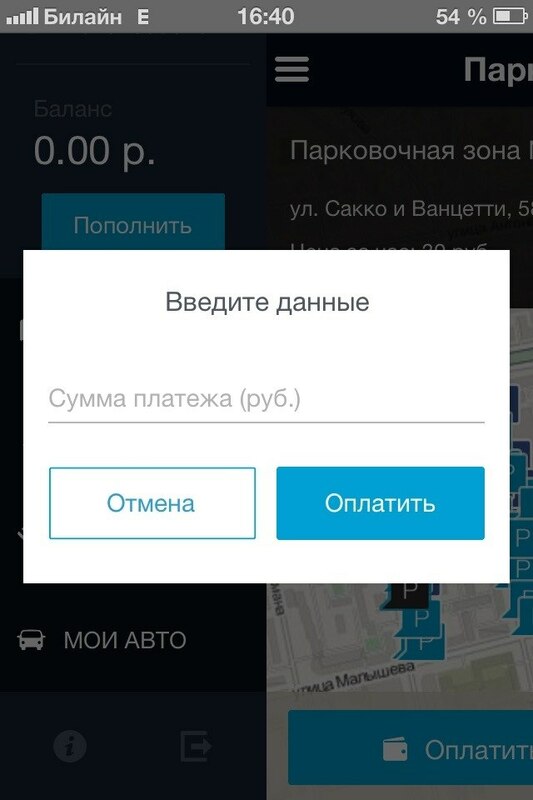 Authorizationmenu has 2 buttons: «Log in» и «Register». Notice! 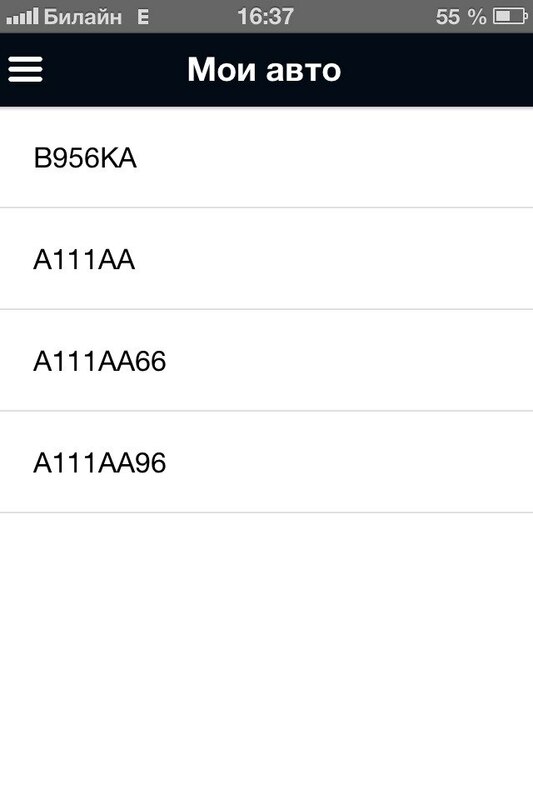 All fields, including the phone number,are compulsory (your phone number has to be attached to your parking account). Youhave to confirm registration by e-mail first, and then by SMS code that will be automatically sent to you phone number. button to exit form mobile application. Inthe main menu, the current balance is displayed. To top up the balance, press thebutton «Top up». After pressing the button, enter the amount in a form andconfirm the payment by pressing “Pay”. Balance top up takes place by debiting the mobilephone account to parkingaccount. 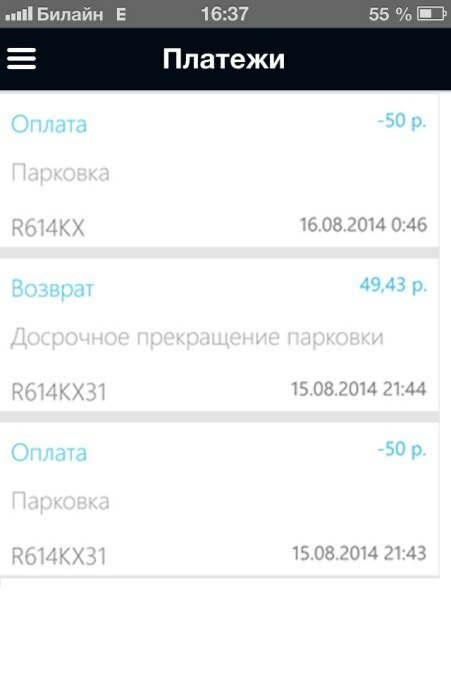 Balancecan be topped up for any amount more than 10 rubles. In the future, funds atparking account (balance) can be used to pay for parking only. capacity (number of parking lots). Ifyour car is parked in the paid parking zone and time for parking session hasnot expired yet, in the "Current Parking" menu you can see how muchtime is left before the end of the parking session, as well as to terminate orprolong the session. Incase of early termination of the parking session, the unspent funds will returnto the parking account. In the menu "Payments" history of previous paymentsis accessible. Here you can see the amount of funds are debited from theaccount of the parking and the refund amount in case of early termination ofthe parking session. 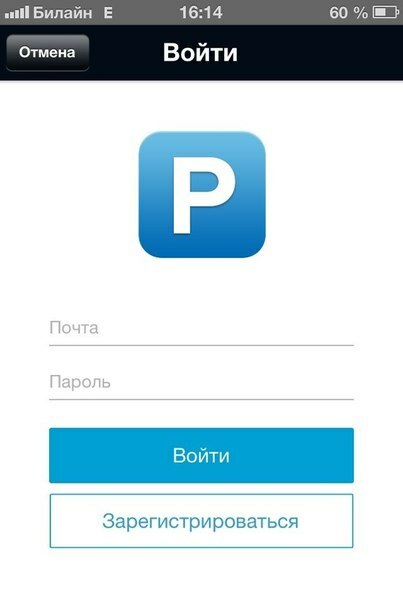 In themenu «My vehicles» you can review LPN of previously paid vehicles from thecurrent parking account. 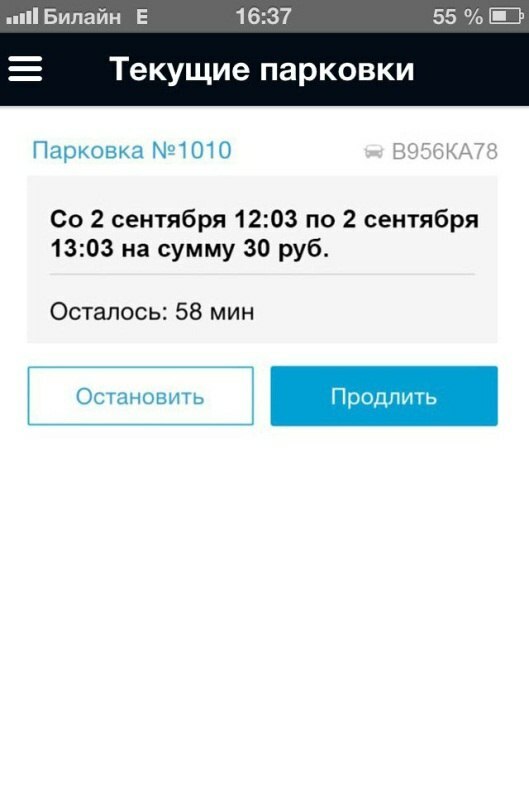 Youhave to indicate the integer number of hours. Afterfilling all fields, press the button “Pay”. The funds will be debited from the parkingaccount. If there are not enough funds on your parking account, you have to topit up and then make a payment.